Things have been pretty quiet for the last week or so at Sevennotes. I’m studying for an exam in “Old Testament 1” (through Moore College External Studies). This subject focuses on the Pentateuch (first five books) and has been such an eye-opening journey, informing my understanding of everything else I read in the Bible. So I’ll call this ‘studying’ and share with you a few things I have been learning. The concepts are also refered to in a great song I heard today (for the first time), YOU ARE ‘I AM’ by Mercy Me. (You can listen at the end). 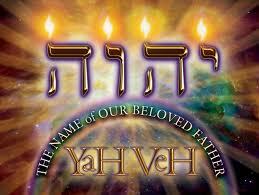 “I AM” is the name by which God revealed himself to Moses in the burning bush. 1. Giving the name established a relationship with the Israelites and made worship possible. The name was exclusively given to Israel, the name by which God would be known and worshipped. 2. In giving His name, God gave Himself. Yahweh established a new personal relationship with Moses – this was extended to the Israelites when they received his name in the Sinai covenant (Exodus 19) before the 10 Commandments were given. Note that God redeemed Israel and brough them into the covenant relationship before the law was given (ie. The Law can’t save). 3. The “I AM” name reminds us of God’s faithful and unchanging nature. 5. To call on the new covenant name ‘Yahweh’ was to appeal to the covenant relationship which the giving of the name established. This entry was posted in Best Christian musicians, Glorifying God, Pure Grace and tagged christ the messiah, power of the holy spirit, theology. Bookmark the permalink. great post again Ros. Thanks. Very cool I’m your 3000th!! !